Robert's campaign is making news. Amidst a crowd of elated voters and elected officials, Robert Jackson was sworn in as State Senator at a community ceremony held at City College’s Great Hall on Sun., Jan. 13th. 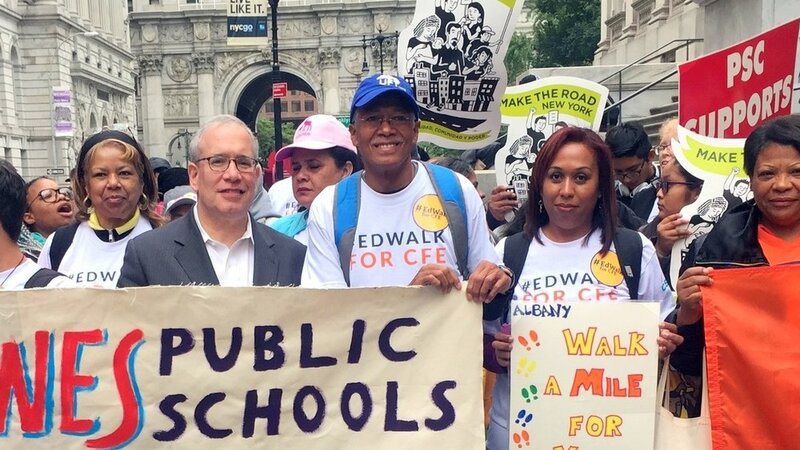 Robert Jackson was the president of Community School Board 6 in Manhattan in 1993, and in that position, he sued the state over its funding for New York City schools. That suit would lead to the creation of a statewide funding formula in 2007 aimed at boosting the neediest districts. I won't back down and hope you won't either. Together, we will make a real difference! Ready to take the next step? You can attend an upcoming campaign event, or become a campaign volunteer.